What Are Zoodles? Here’s everything you need to know! Have you heard of zoodles? What are zoodles? 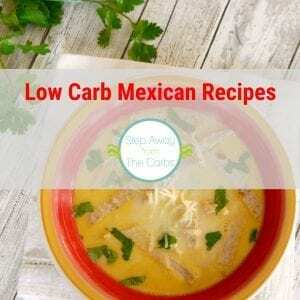 Here’s what you need to know about this low carb alternative to noodles. 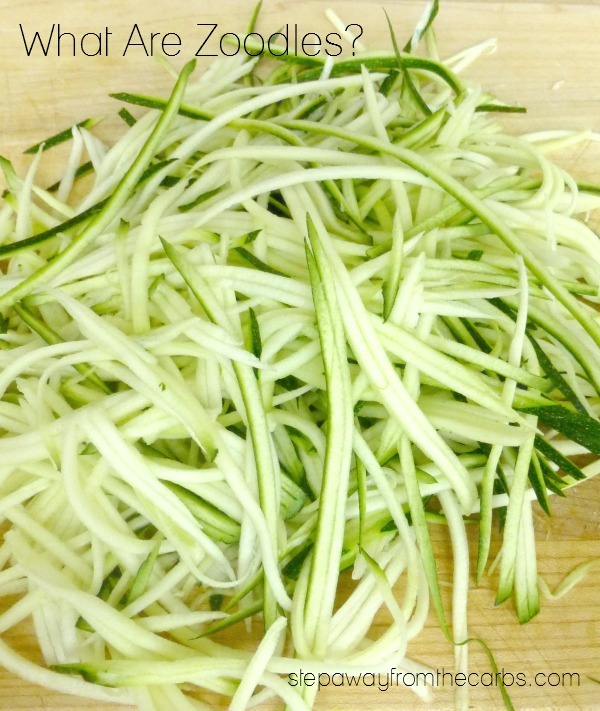 The word “zoodles” is a contraction of “zucchini noodles” – long thin strips of zucchini that resemble pasta. I have tried to find out who first coined the phrase and have not been able to – but zoodle recipes are all over the internet now! 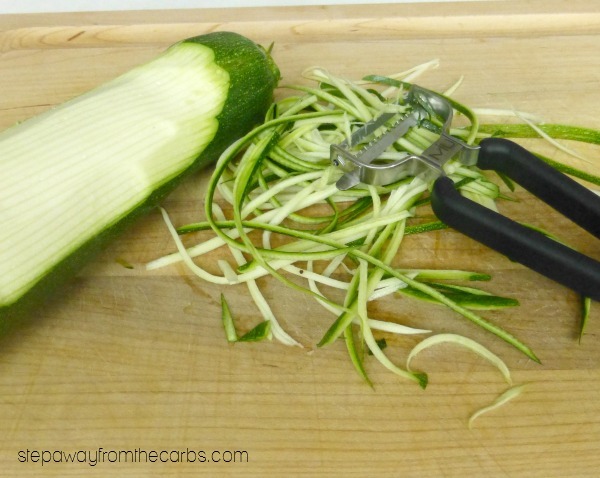 There are two main ways to make zoodles. A popular way is to use a spiral slicer like a Spiralizer. While I am super tempted by one of these, I just don’t have counter space for it. They do so much more than make zucchini ribbons of course – you can make long strands from all kinds of vegetables! Plus I love the fact that one of their selling points is that it is non-electric and therefore “great for emergencies”. The most popular way to cook zoodles is to saute them – either dry or in olive oil depending on the texture outcome that you would like. From then on they are the perfect vehicle for sauces, herbs, seasonings and spices. If you’re particular about the texture of your zoodles and don’t like them too wet, then Holistic Squid has a tutorial where you dry them before cooking by “sweating” them in the oven (yes I know – cool blog name, right?). 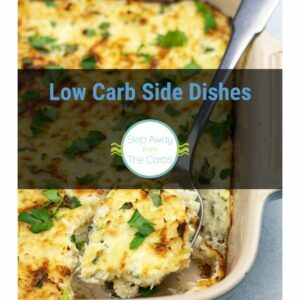 I confess I have yet to try this because I like how they turn out when they are sauteed. 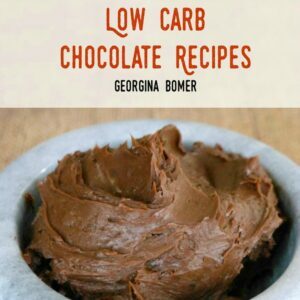 If you try it, let me know! How about this Steak with Creamy Chipotle Sauce with Zoodles? 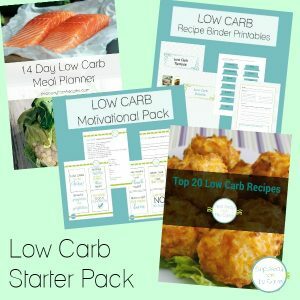 Or a Low Carb Pad Thai? 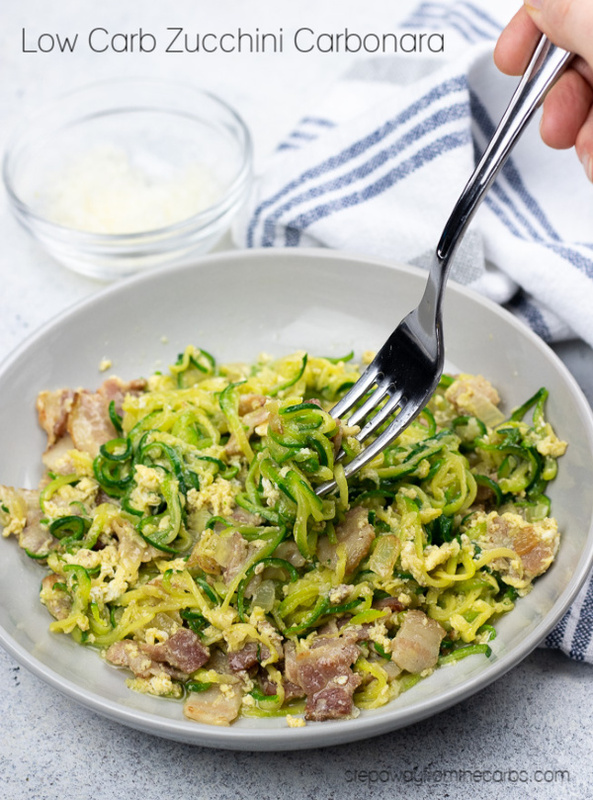 And you’d better try this Zucchini Carbonara – it’s such an amazing recipe that really highlights zoodles at their best! 1 cup of sliced zucchini contains 2.4g net carbs (Source: USDA). 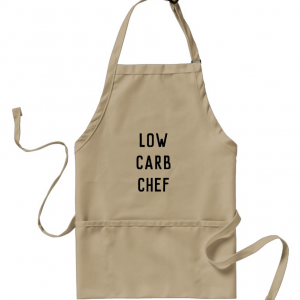 Which makes it a very friendly veg to low carb dieters! It’s also high in Vitamin A and Vitamin C. Many low carb diets recommend all kinds of supplements including a multi-vitamin – and although I’m no doctor I’d rather get my vitamins from natural sources if I can. So that’s two off my list!